So funky, you’ll swear it’s vinyl!! The GroovaLottos debut album, “Ask Yo’ Mama” is a fun, retro funky soulful, and bluesy offering from the first note to the last word. This 16-track opus offers 13 original songs and three sketches that demonstrate why they are considered one of the most entertaining bands on the scene. 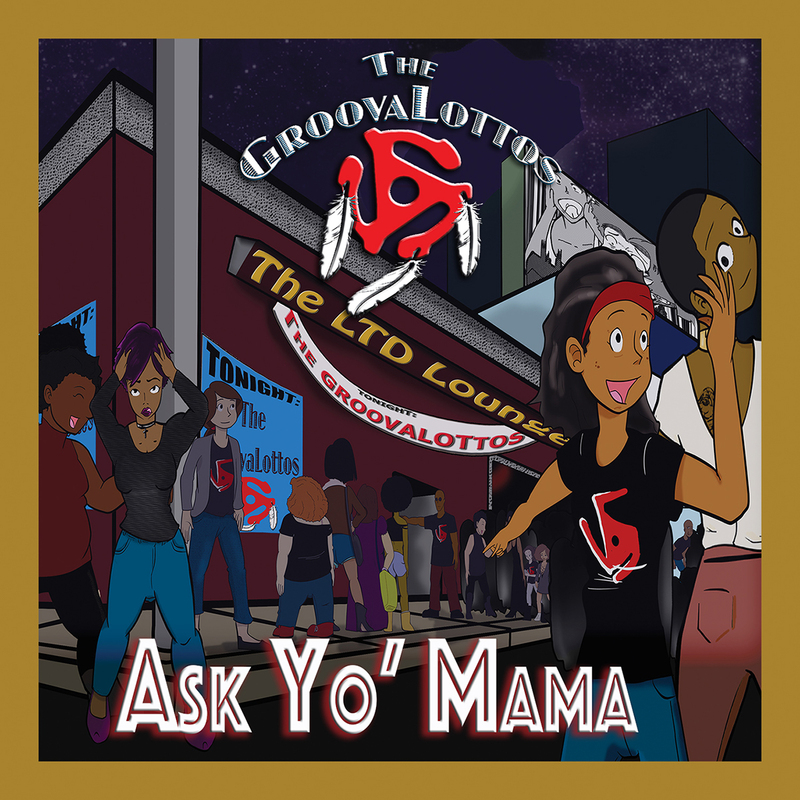 “Ask Yo’ Mama” exhibits the wide, genre bending musical vocabulary of the band, as it smoothly transitions from smooth soul grooves, to juke-joint worthy blues, to dance floor ready funk. Featuring the instrumental virtuosity of the trio, topped with amazingly orchestrated vocals. Escaping the modern trappings of electronica and hyper-digital production, “Ask Yo’ Mama” explores and celebrates the productions of yester-year; presenting true, raw instrumental and vocal performances without samples, loops, drum machines, auto-correction, or auto-tuning. The tambourines, handclaps, percussion, and sounds are all the real thing. “Ask Yo’ Mama” is co-produced by Mwalim DaPhunkee Professor, a multi-award, multi-grant winning musician, composer, performer and producer of jazz and soul recordings; and Eddie Ray Johnson, a seasoned touring percussionist whose career spans funk, rock, blues and world music. The legendary Bob Yen served as the producing engineer. If you are a fan of Bruno Mars, and Leon Bridges, Parliament Funkadelic, and Earth, Wind & Fire; or miss James Brown, Sly Stone, Curtis Mayfield, Donny Hathaway, Muddy Waters, YOU GOTTA HEAR THIS!!! JOIN US for the Album Release Party at the Cultural Center of Cape Cod in South Yarmouth, MA on May 13th, starting at 7:30 PM.